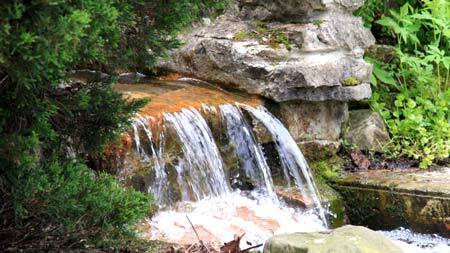 Schedel Arboretum and Gardens is located in Elmore, a small town just southeast of Toledo. 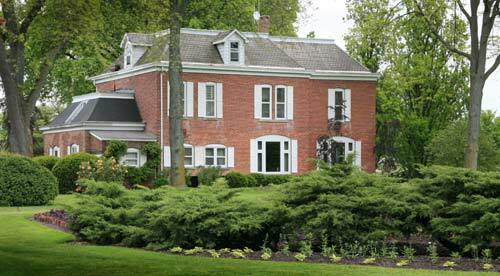 The Schedel Arboretum was once home to Joseph and Marie Schedel for more than 50 years before opening to the public in 1991. The arboretum has more than 17 scenic acres that border along the Portage River the Ohio Turnpike, just outside the little town of Elmore. 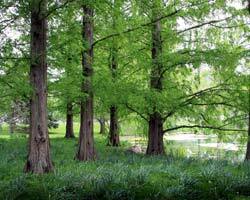 But just what makes this scenic collection of trees and plants an arboretum? Officially, an arboretum is a collection of trees and shrubs, and vines, basically the woody plants for scientific study. 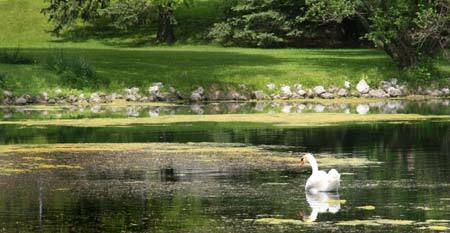 While large, the Schedel Arboretum is not on the scale of say Dawes Arboretum and that is one of its charming attractions. You can easily walk through the various gardens at an easy pace and see the entire arboretum on one visit without working up a good sweat. However, walking the grounds and thinking you've covered it all with no need to return would be a mistake. Each year the staff and volunteers plant some 22,000 annuals that change as the growing season matures meaning you'll always be seeing something new on each visit. The perennial collections also put on a show throughout the season. 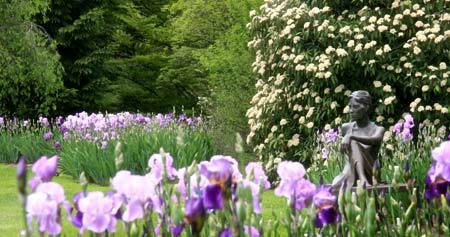 Especially noted is the rose garden and expansive collection of peonies. 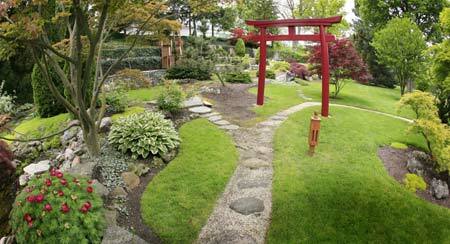 On the walking tour of the gardens, the most impressive garden is the Japanese Garden located in the lowland section. 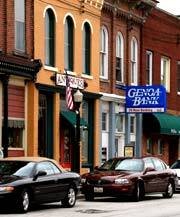 Not surprising is the fact that the Schedels cherished the orient making numerous visits there during their lifetime. The Japanese garden features several water features, more than 20 varieties of Japanese maples that really put on a show in the fall. There's also a massive red Torii which is reported to bring good health, prosperity and a long life for those that walk through it. Finally, a big part of the Schedel Arboretum and Gardens are the numerous pieces of art strategically located throughout the grounds. Some of the statuary is permanent and others are on loan. 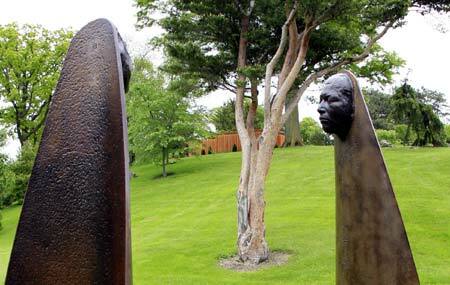 Plus, there are regular art exhibits throughout the growing season featuring various artists and sculptures. 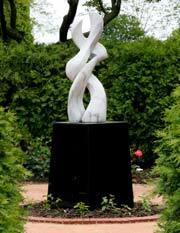 Art has become a prominent feature of the Schedel Arboretum in recent years. An annual sculpture show during the summer months features works showcasing many of the day's finest artists. Many of the works have a garden theme and were created especially for the gardens. 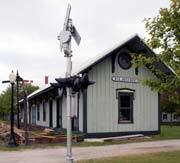 Located in the old train depot, the Elmore Historical Society is available for special events. This motorcyclist is linked to a ghost light that has been said to appear on March 21 every year in Elmore. The story claims motorcyclist met an untimely death shortly after World War I. He had been mustered out of the army and with his pay, bought a brand new motorcycle. He came home to Elmore in hopes of seeing his best girl, whom he had not seen in some time. When he arrived at her family's farm, he learned that she had become engaged to another man. Angry and hurt, he roared off on the motorcycle. A few yards from the girl's driveway, the road curved and crossed a bridge. Somehow, the young soldier lost control of the bike and crashed into a ravine. His body and motorcycle were later found in pieces. Each year as Halloween approaches, the town of Elmore conducts motorized casket races and features Grub 'N Suds Motorcycle Rally on the second Saturday of September.